RAVENOL BIO-Hydraulikoel HEES 68 is based on synthetic, easily biodegradable ester and a powerful, environmentally friendly combination of additives which gives the product excellent properties regarding oxidation stability, corrosion, low temperatures as well as EP behaviour. Compared with products of vegetable triglyceride base, RAVENOL BIO-Hydraulikoel HEES 68 has much better high temperature oxidation stability. 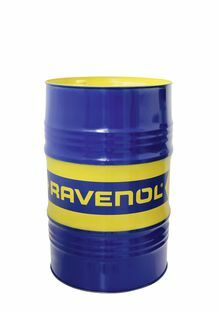 RAVENOL BIO-Hydraulikoel HEES 68 is used wherever there is the danger of hydraulic fluid leaking into the ground or waste water. This includes all equipment operating in or near areas of water purification or water protection or near surface water, such as e.g. sewage treatment plants, dredging ships and floating dredges, lock hydraulics and river weirs, pipe and tunnel diving machines, - hydraulic aggregates in forests and on plains, earth moving machines in water collecting areas, forestry machines. On account of the used raw materials, RAVENOL BIO-Hydraulikoel HEES 68 is classified as water polluting class NWG (not water-polluting) – German classification.